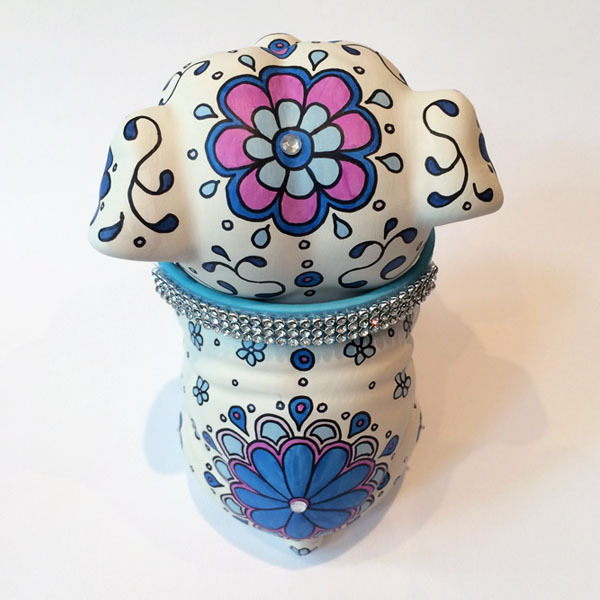 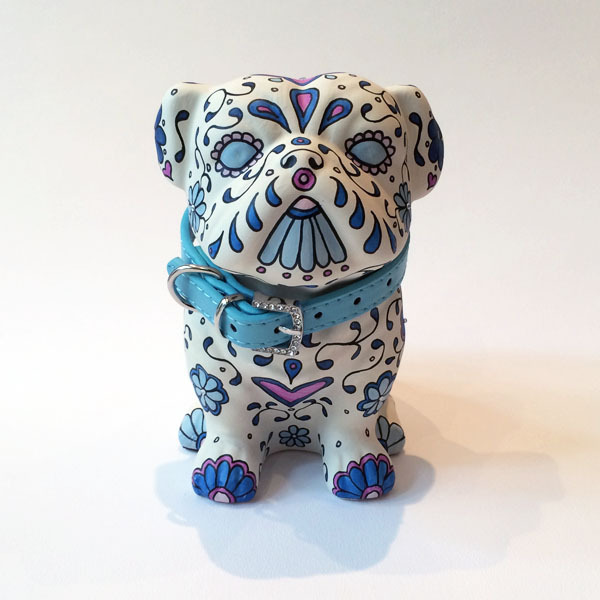 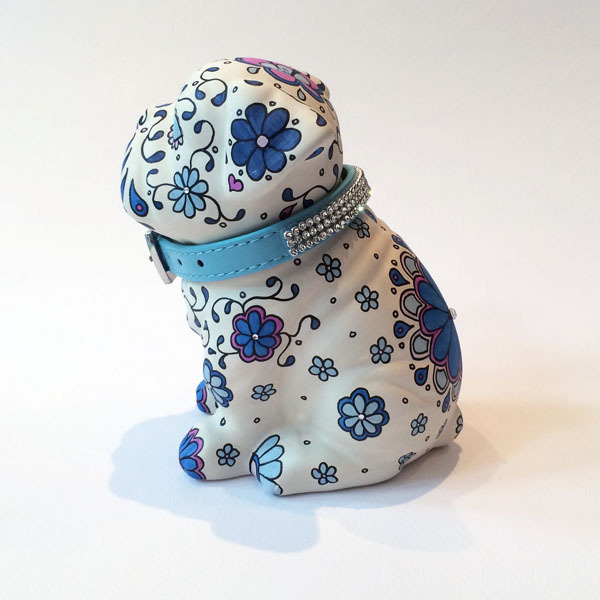 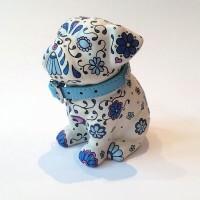 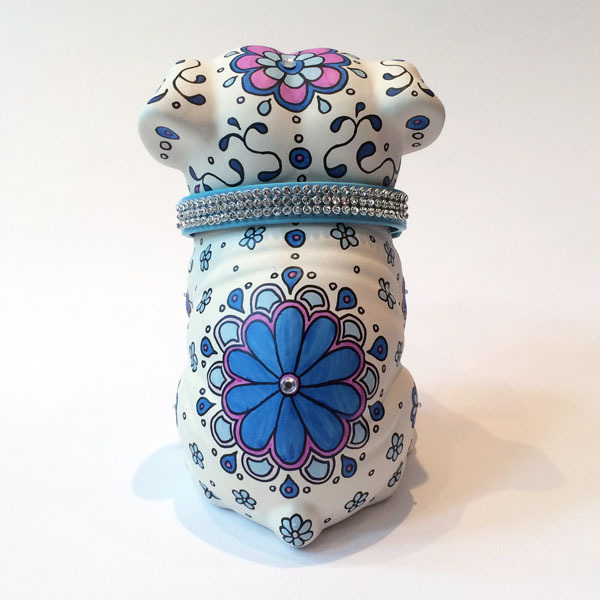 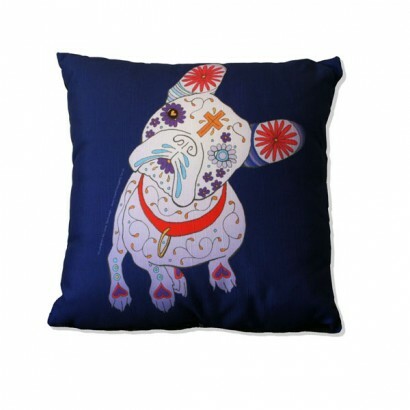 Hand painted ceramic Pug sculpture in the unique style of Marlene’s Gang. 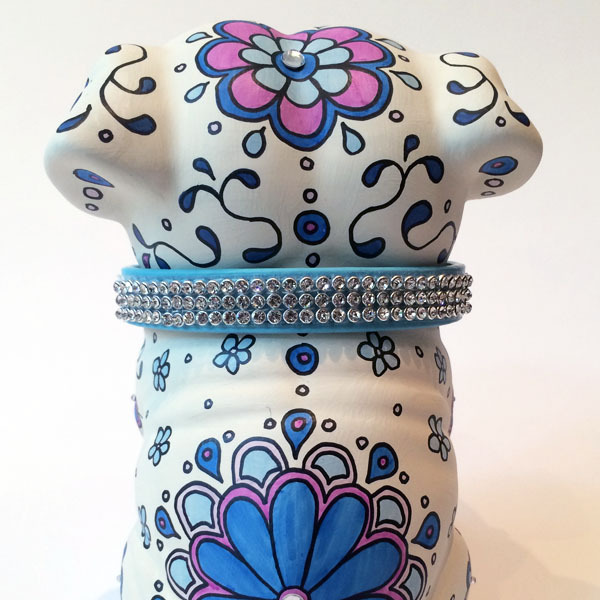 Each ornament is lovingly created as a one off, decorated with small diamonté accents and diamonté collar. 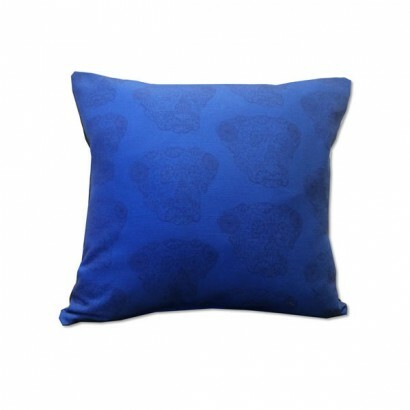 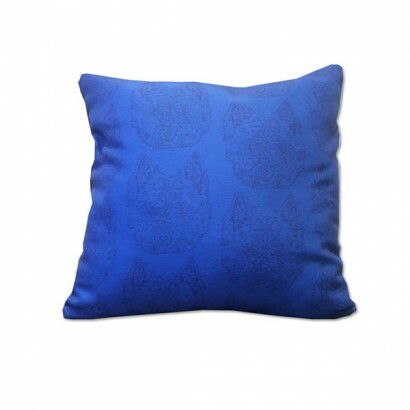 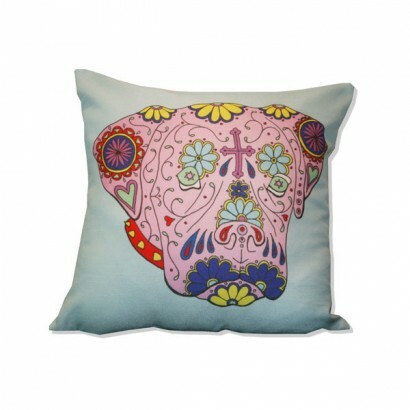 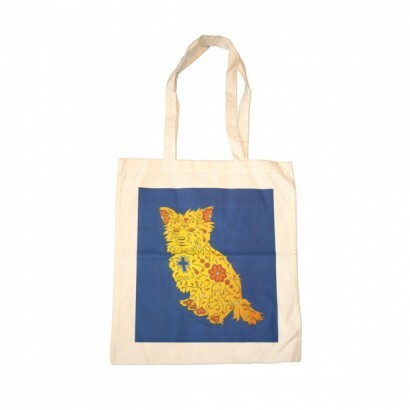 Purchasing one of these ornaments gives you a really bespoke item to decorate your home. 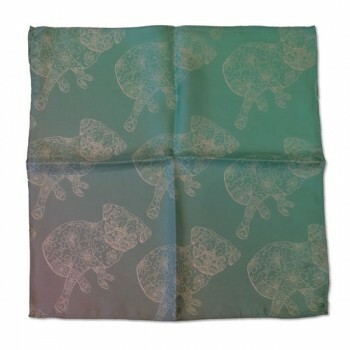 White background with blue & pink colours.